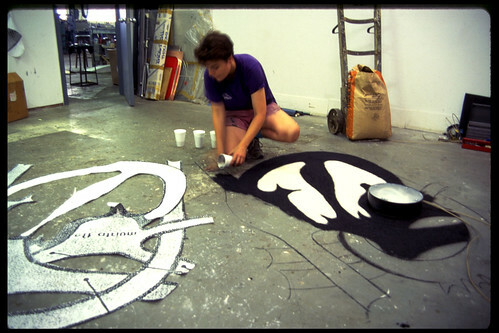 Gender Balance is a fifty foot long installation created while in residence at the New Orleans Glassworks. 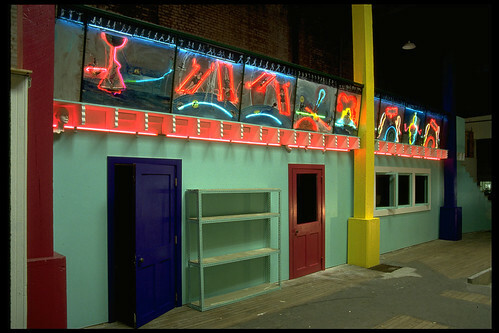 Using plate glass for each segment of the railing, graphic, collaged imagery is illuminated by neon tubing – and painted. The walls and posts in the Glassworks were painted as part of the installation. One picture in the slideshow from the inside of St. Jude’s chapel at a local New Orleans cemetery. The collection of objects hanging on the walls of the chapel influenced the imagery of the artwork itself.